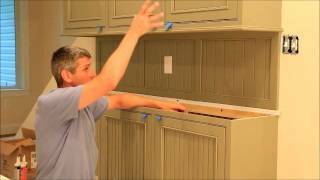 Discussion of filler pull out racks when used in inset cabinets as well as things to watch out for. 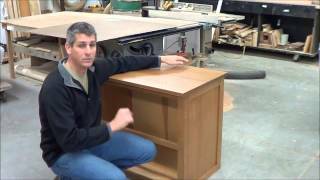 An overview of Conestoga's RH cabinet for use over stoves instead of more expensive range hood options. 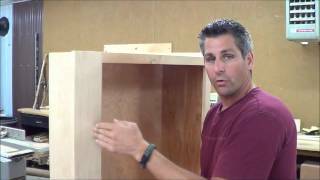 Brian notes the overlay versus inset opening size issue and how drawer boxes and face frame will not be equal on full overlay cabinets. What is the toe space side option, when should I use it, and assembly process. 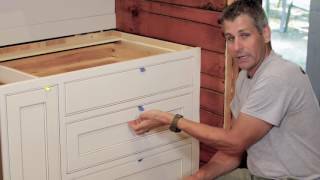 When a drawer is extremely narrow, it limits the panel options for that drawer front (same can be said for narrow doors). 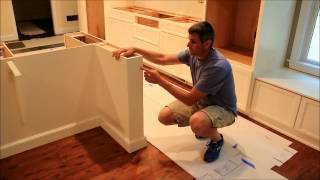 This video shows your options as you consider your top drawer front design. 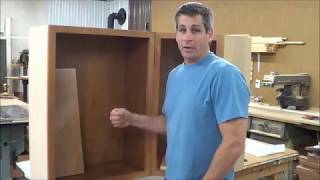 How do your wall cabinet and tall cabinet heights relate to each other and why is this important? 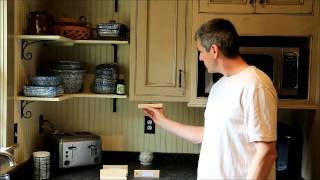 Using a parting strip or other separator trim between stacked wall cabinets. 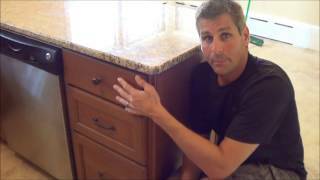 How do you get the look of classic furniture feet on your Conestoga base/tall/vanity cabinets? 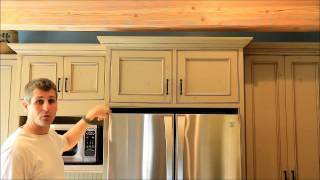 Use a valance and customize it to your needs as well as create a matching base molding for the sides of the cabinets! 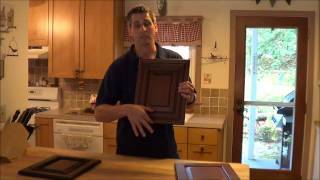 A video describing what to order to achieve finished cabinet bottoms that match your cabinet exteriors. 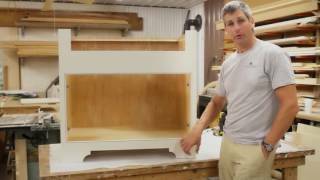 This video demonstrates how to create and install inset frame/door panels on the ends of your cabinetry, carrying the inset look all the way around the cabinet. 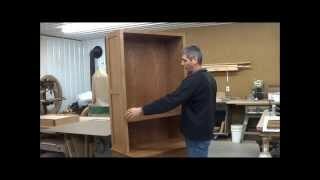 Conestoga allows you to create virtually any cabinet combination simply by ordering a custom face frame (and doors/fronts/boxes). 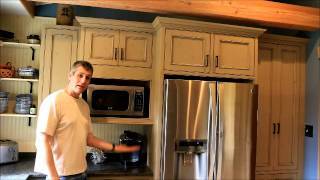 This video explains how. 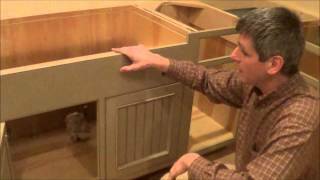 This video details information on apron sink bases including how they are cut out, supported, etc. Extended Stile: What is it & Why Do You Need It? 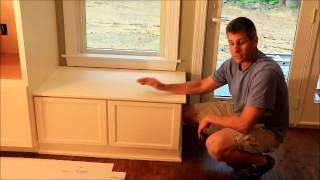 Discusses elements of a cabinet door such as Edge Profile, Framing Bead and Panel Raise and how you can dictate these elements at no extra charge to create truly unique designs for your project. 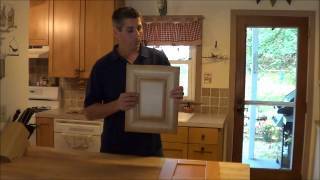 Describes the differences between doors that have solid wood raised panels, solid wood flat panels or flat plywood panels. 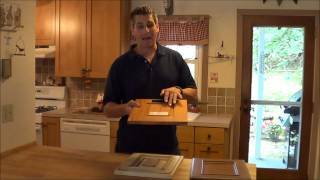 A brief discussion on the differences between traditional mortise & tenon doors and mitered doors and the features/benefits of each. 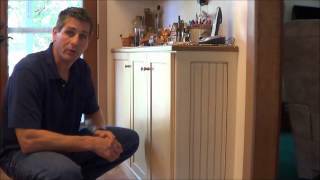 A critical video to watch if your kitchen is in a humid or non-climate controlled environment. 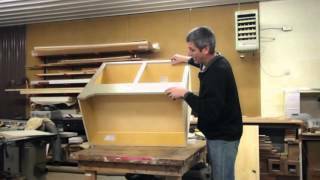 An overview of some of our toe kick options including standard toe, flush toe, arched valance toe and furniture feet. 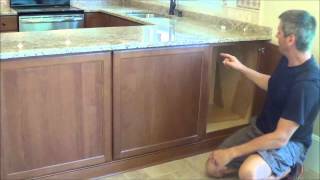 Describes the available decorative options for cabinet backs and ends. 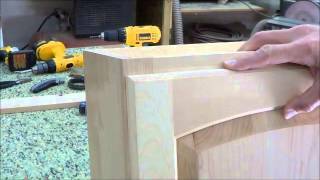 Helpful when determining how to finish off the backs of your island and/or peninsula.